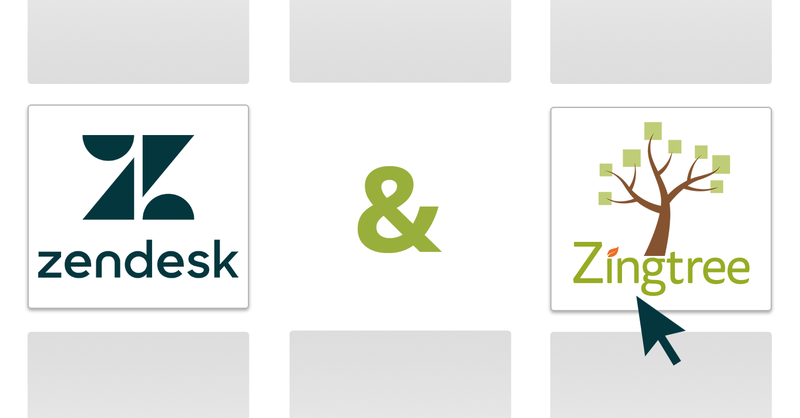 The Zingtree Zendesk app has been approved by Zendesk, and is now live in the Zendesk Apps Marketplace. If your organization uses Zendesk, the Zingtree app lets you receive all data from a Zingtree session inside of Zendesk. This will save you time answering questions, since all of the customer’s Q&A is displayed nicely right inside of each Zendesk ticket. By placing a Zingtree troubleshooter as your support entry point, if your customers aren’t able to self-solve, you will get all the relevant data from them, making it faster to answer questions.